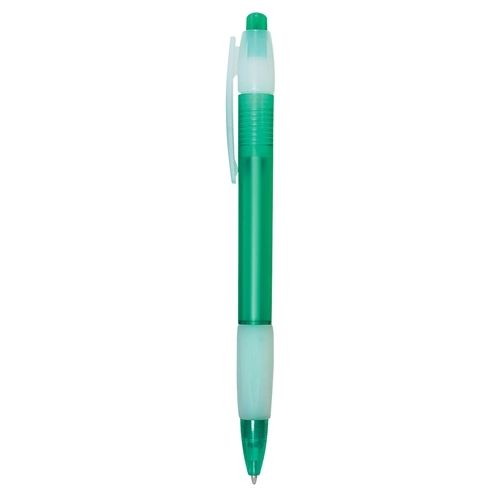 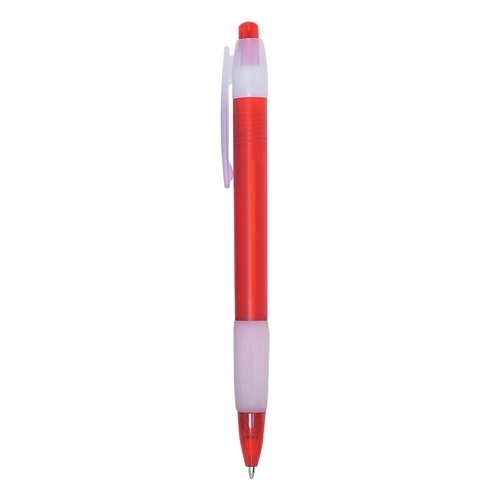 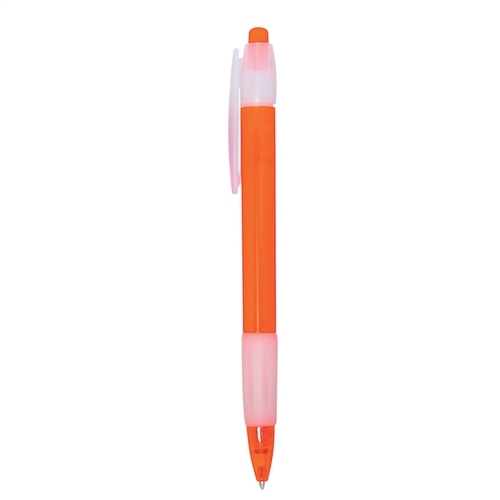 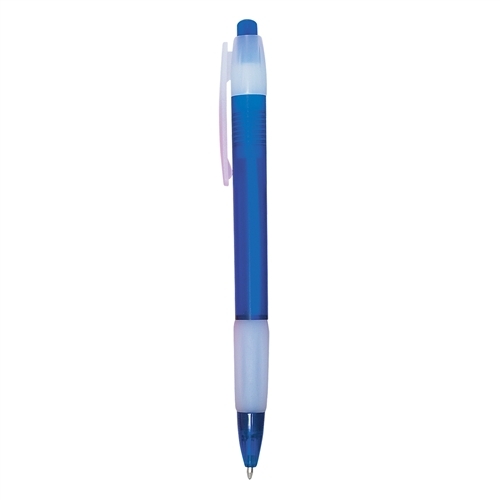 Custom Logo Printed Radiant Pen is designed with plunger-action mechanism. 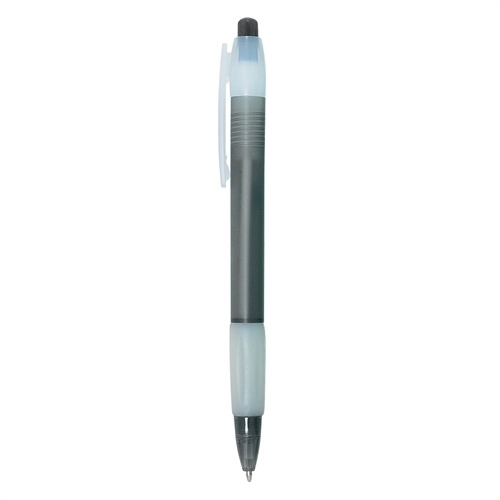 Customizable Printed Pen features rubberized grip for great writing control & comfort. 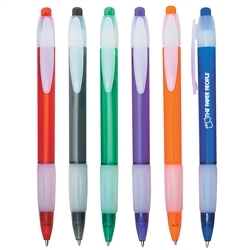 Custom Logo Printed Radiant Pen is available in 6 frosted translucent colors: Blue, Green, Red, Orange, Purple or Black with Frosted White Trim.